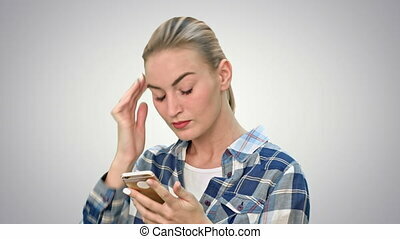 Annoyed young woman having bad news from her angry boss by the phone on white background. 076w. you can use it e.g. in your commercial video, business, medical presentation, broadcast video. 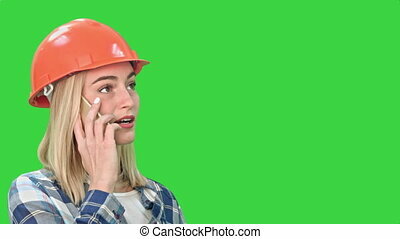 Annoyed Young Woman Having Bad News From Her Angry Boss By The Phone On White Background. 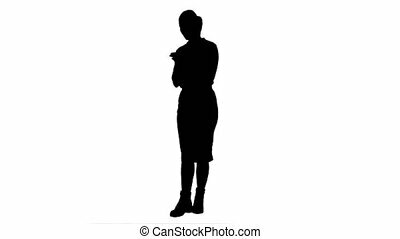 Silhouette Annoyed young woman having bad news from her angry boss by the phone. 076s. You can use it e.g. in your commercial video, business, medical presentation, broadcast video. Annoyed young woman having bad news from her angry boss by the phone on a Green Screen, Chroma Key. 076. You can use it e.g. in your commercial video, business, medical presentation, broadcast video. Troubled woman reading bad text news on phone touching her head in misery. Close up on white background. 076w. You can use it e.g. in your commercial video, business, medical presentation, broadcast video. 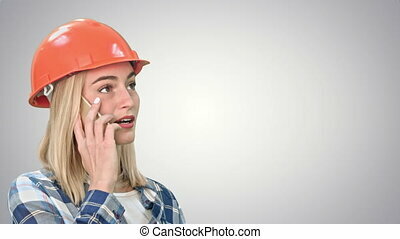 Woman in orange helmet having a phone call discussing the problem with object. Close up on a Green Screen, Chroma Key. 076. You can use it e.g. in your commercial video, business, medical presentation, broadcast video.